Park Falls Dental Contents Services Teeth Whitening Zoom! Your smile is important. It's one of the first things you notice when you meet someone. A whiter, brighter smile is beautiful- it can help you feel better about yourself and make a memorable impression. Your lifestyle and the ageing process can stain and darken your teeth. many things we do on a regular basis can contribute to stained teeth, such as drinking coffee, tea, cola and red wine or smoking. Whitening can get your smile looking it's best! "The staff seems to truly care for each patient and they're very knowledgable." "Dr. Samuel is a very talented dentist who goes the extra mile to satisfy her clients." 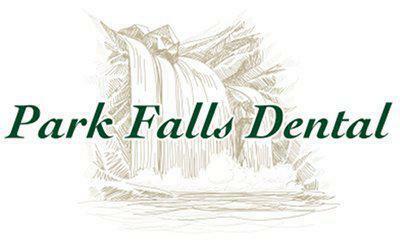 Park Falls Dental in Ukiah, California, offers three dentists who are skilled in both general and cosmetic dentistry. The practice was originally opened in 1983 by Dr. John E. Scoggins, DDS. A 1977 graduate of the University of the Pacific, Dr. Scoggins dreamed of having a larger and more modern office; that dream came true in 2006. That same year, Dr. Ken Barry, DDS, joined the staff in the new 10-operatory office. A graduate of the University of Southern California, Dr. Barry spent four years as a military dentist and 10 years in private practice before joining Park Falls Dental. Dr. Samar Samuel, DDS, joined the practice in June of 2016. Dr. Samuel is a graduate of Howard University with previous private practice experience. She is a certified Invisalign provider and is also certified in the use of laser dentistry applications. All three dentists believe strongly in promoting the best oral health through patient education and high-quality care. The office is modern, comfortable and welcoming, making a visit to Park Falls Dental a pleasurable experience as well as improving patients’ oral health. For patient convenience, Park Falls Dental now offers oral surgery in office. At Park Falls Dental, we accept most major medical insurance plans. Here is a short-list of just some of the most popular plans we accept. Please contact our office and ask for Amanda if you do not see your insurance provider listed. "The dentist was VERY gentle and the hygienists Sara and Tina were wonderful. It was easily the best visit I've ever had!" "Dr. Scoggins is very caring and personable. Dr. Barry is great too, both of them have worked on me and I've always been happy with the dental care I received there."